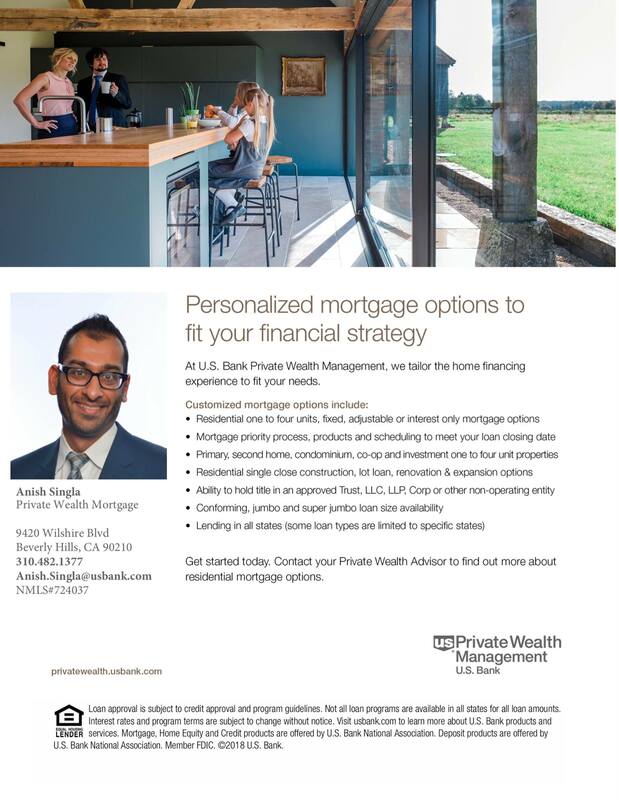 Anish Singla is a premiere loan consultant with US Bank and has been a Playa Vista resident since its inception nearly 15 years ago. Because of his long history in the area, he possesses a deep understanding of PV’s unique market. With close to $1 Billion in loans successfully funded in his career, Anish’s specialty in the mortgage industry is his grasp of the intricate financial totality of each of his clients. This makes the process of purchasing or refinancing a home simple and seamless. US Bank recently was acknowledged as the Most Ethical company in the world, the first for a banking organization! They provide tailored solutions for your financing needs and include options for construction loans, 10% down loans, LLCs, RSU lending and interest only loans as well. Next time you see Anish at a Dads event (thank you in advance, PV Moms! ), the dog park, Hopdoddy, Blue Bottle, or just around the neighborhood with his 6 month baby girl, say hi and feel free to ask any questions about the market. With rates down substantially in the last week, if you just closed a loan in the last 12 months, it would make financial sense to revisit your loan as most likely we can offer a no cost refinance and lower your rate. Call anytime, seven days a week, to get some friendly and free advice.